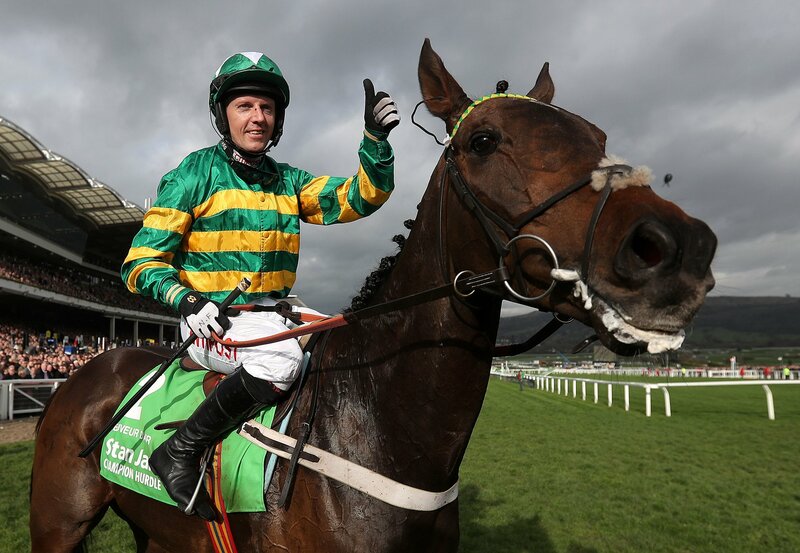 Here’s our Horse Racing preview for the Cheltenham Festival day 2. Willie Mullins has 4 in the Neptune, Bacardys being the best of the 4 runners. 3rd in the Champion Bumper last year, Bacardys has been touted to go and win at this longer trip. Harry Fry takes Neon Wolf to the festival and the former points winner has its first run under rules. A tough race to decide upon a winner but Alpha Des Obeaux has a tentative vote. The 7 year old ran a blinder in the World Hurdle last season,finishing 2nd to Thistlecrack and though disappointing last time out, trainer Mouse Morris explained the horse had bled. Nicky Henderson’s Might Bite will also have a chance, running well on its re appearance at Doncaster last time out. Gordon Elliot’s Tombstone leads the market as favourite and was 4th in last year’s Supreme Novices’ Hurdle as well as beating Jezki in a Grade 3. River Frost has a 10lb rise in weights though the Alan king trained horse is running very well and looks as though it will fight out the finish with Tombstone. Willie Mullins has 5 in this race and Tin Soldier heads the line with Ruby Walsh aboard. All eyes will be on Douvan for the Champion Hurdle as the Willie Mullins trained Gelding looks to make it 14 wins in a row. The 7-year-old looks extremely well treated and in the past 2 years at Cheltenham, has won the Arkle and the Supreme Novices’. God’s Own could be the ‘Without the fave’ bet. The 9-year-old has lost 3 this season but has run well in defeat and looks the best of the rest. Cantlow didn’t have the best of runs at the venue in January when finishing 2nd but things didn’t fall right for the 12-year-old. Making the running did not suit and the race was a handicap, conditions should suit Enda Bolger’s Gelding. Gordon Elliot’s Cause of Causes could go well and Sausalito Sunrise, trained by Pat Hobbs, takes on a different test but should be capable of running into the places.